Propranolol has been used as a beta-blocker for decades now. New studies suggest that it could also be indicated for other conditions. One startup in the USA is even planning to prescribe it to treat fear of public speaking. Do you have fear of holding talks in front of your colleagues? Does your heart rush and do your hands tremble? Then propranolol might perhaps suit you. Kick, a startup out of San Francisco, plans to issue prescriptions for the beta-blocker to patients following an online consultation. This pill works like magic; people who have used it say that their fear of public speaking disappeared. This statement comes to us from Kick founder and CEO Justin Ip. “We have here a price effective medication with few side effects and many years of experience in its use in off-label form“. In actuality, propranolol has been prescribed for decades. Pharmacologists regard it to be a “dirty“, meaning unselective, beta-blocker. Propranolol binds to β1 and β2 adrenoceptors. Its classic indications include arterial hypertonia, heart failure and coronary heart disease. Neurologists also prescribe this established medication as a migraine prophylaxis. 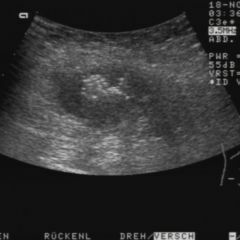 Further indications include oesophageal varices, hyperthyroidism and glaucoma. The potential uses do not by any measure end there, as several publications show. A few weeks ago Robert Maglie, a doctor in Florence, reported a case involving a young female patient with hematidrosis. This involves blood being expelled from sweat pores. The probable causal origin is a congenital or acquired weakness in the arterial walls together with hypertonia. In the instance of strongly felt fear, fine skin capillaries can potentially collapse, leading to secretion of blood together with fear-derived sweat. The phrase “sweating water and blood” can be assumed to stem from this condition. In the case of the young female patient, through administration of propranolol these symptoms are believed to have been successfully able to be largely reduced. Whereas doctors in Germany still limit themselves to already recognised indications, propranolol clearly has greater potential. Among these is the possibility of using it to prevent recurrent skin melanoma. Until now there has been a lack of suitable active agents for use against this target. Vincenzo De Giorgi from the University of Florence recently published a cohort study. He recruited 79 patients with malignant melanomas from stage IB to IIIA, no signs of metastasis being present. The participants were on average 63 years old. 53 of them declared their consent for participation in the study. Another 26 were excluded on the basis of pre-existing diseases, intolerance of propranolol or refusal to participate. Doctors asked the patients at the time of diagnosis whether they would be prepared to take 80 mg propranolol off-label as an augmentation to therapy approved in current guidelines. 19 individuals signalled their consent and were taken into the propranolol-group (PROP). Whoever refused the augmentative treatment was alternatively able to participate as part of the control group (No-PROP). This categorisation is the greatest weakness in this study in methodological terms. After three years the disease had progressed in 14 patients (41,2 percent) in the No-PROP-Group. In the PROP-Group this applied to only three patients (15,8 percent). Six patients died without propranolol use – five of these due to melanoma. 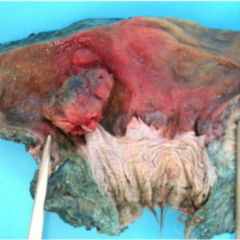 In the adjuvant therapy group this happened to two patients, whereby one fatality was directly connected to the cancer condition. In the next step De Giorgi corrected for prognostic factors based on differences in both groups at the start of the study. He found propranolol administration at the point of diagnosis to be inversely associated with melanoma recurrence. The medication significantly reduced risk by about 80 percent. After three years a trend of lower mortality in association with the active agent was also evident. Here however the differences between the two groups were not statistically significant. A study by Eric V. Yang, researcher at Ohio State University Medical Center, might now be able to offer a picture of the kinds of effects involved playing out here at a molecular level. He studied in-vitro melanoma cell lines. Yang found a proliferation of adrenoceptors on their surfaces. Noradrenalin leads to the formation of proteins which promote metastases. These proteins include interleukines IL-8 und IL-6 as well as vascular endothelial growth factor (VEGF). Following administration of propranolol expression of these stagnated. The use of propranolol to treat haemangiomas is based on an entirely different mechanism. These specific blood vessel tumours occur predominantly in early years of life. From three to ten percent of all infants develop “blood blotches”; many such lesions are eliminated by the body itself. Haemangioma © M. Sand et al., Cutaneous lesions of the nose, doi:10.1186/1746-160X-6-7, Open Access. This is not simply a matter of aesthetics. Large haemangiomas around the eye can adversely affect vision. If a respiratory pathway, particularly the subglottis, is affected, this can be life threatening. Following several accidental discoveries, paediatricians are now avidly investing hopes in this active agent. James R. Dornhoffer, researcher at the University of Arkansas, suspects that propranolol downregulates components of the renin-angiotensin-aldosteron (RAA)-system. 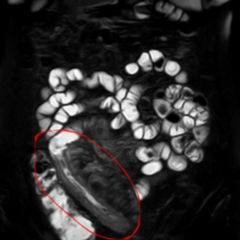 This expression is elevated in affected tissue. Angiogenic processes are impeded in this way, Dornhoffer writes. Questions relating to the mechanism involved remain nonetheless unanswered. There is however no uncertainty about its value from a doctor’s perspective. This was most recently also made evident by Tyler Schwartz’s work at the Medical College of Wisconsin, Milwaukee. His study was based on current metaanalyses. Its focus was particularly dangerous haemangiomas of children’s airways. Out of 49 patients, 28 received only propranolol and 28 propranolol plus corticosteroids. 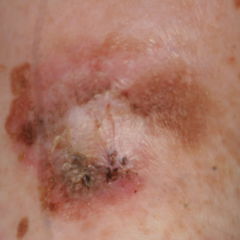 One case involved combination therapy including laser excision. Respiratory pathways were initially on average 69 percent constricted. After 7-months of therapy constriction amounted to 32 percent. Randomised, controlled studies show high rates of response of up to 88 percent, irrespective of localisation. The agent is approved for therapy in Germany in severe cases. 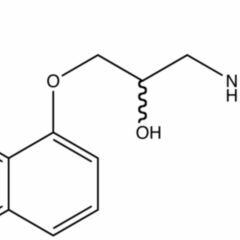 Despite all the euphoria, propranolol however also has its potential dark side. Shuchi Mittal from Harvard Medical School and Brigham and Women’s Hospital in Boston has found indicators of risks unknown until now. He is in actuality working on an entirely different topic, it being: which frequently prescribed medications affect the formation or degradation of alpha-synuclein. Deposition of this protein in Lewy-bodies is associated with Parkinson’s disease. The team put data relating to 1,000 normal medications under the microscope. Patients who had needed to use propranolol over a long period fell victim to the disease more than twice as often as Norwegians who did not use the medication. Association studies such as these of course to not prove causality, they do however give impetus for further study projects. For portal hypertension propanolol is good, and with propanolol some patient with ascites can control ascites on sirosis Hepatitis. Nihil novi sub sole! It’s start-up? 30 years ago I took propranolol before exams. He works on heart and centrally on CNS as well. Read pharmacology of b-blockers! In the eighties my mother was prescribed propranolol to reduce her fear of flying when she wanted to go to Australia to see her sister. It appeared to work. She was told at the time it was also being used by musicians to control their apprehension before performances. So the use to reduce fear is not new.